"Offering deep condolences to the Taylor family. No matter..."
with her cousin/brother, Jim Taylor, Sr. She attended school in Williamson, New York graduating from Williamson High School in 1963, as class Valedictorian. She was united with Tom George and from this union, they had three children: Archie, Julie, and Dennis. Along with Toms two children, John George and Tom George, Jr. the family moved to Sodus, New York where they established residence and raised their family. Mary graduated from Arcadia School of Business. In 1995, she returned to Lake City from Rochester, New York and met Julius Jefferson. He also precedes her in death. Mary was a loyal member of McCray Holiness Outreach Church. 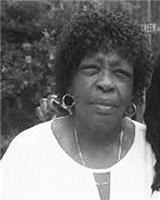 Others preceding her in death: siblings, Betty Taylor, Lawrence Taylor, Jr., Edna Taylor. She was a genuine person that everyone loved and will be greatly missed. Left to cherish memories: Children, Archie Taylor, Julie George, Dennis George, John George, and Tom George, Jr.; 18 grandchildren; 17 great-grandchildren; siblings, Betty Jean Howard, Rochester, New York, Alonzo Taylor (Annie), Jacksonville, FL, Samuel Taylor (Cynthia), Lake City, FL; hosts of nieces, nephews, other relatives and friends. Funeral services for Mary Taylor will be 11:00 a.m. Saturday, January 5, 2019, at Jerusalem Baptist Church, Olustee, FL. The family will receive friends from 7:00 9:00 p.m. Friday, January 4, 2019, at the funeral home. Arrangements entrusted to COMBS FUNERAL HOME, 292 NE Washington St., Lake City, FL, (386) 752-4366, Marq Combs-Turner, L.F.D. "The Caring Professionals."